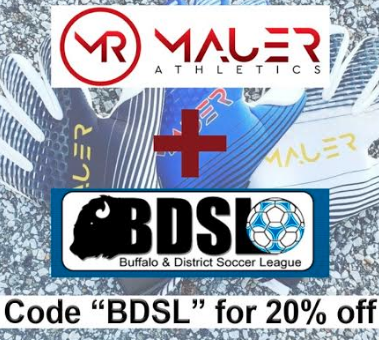 Mauer Athletics has came up with a special offer to any BDSL keeper looking for gear. Bryce Tramuta, one our very keepers with Buffalo United SS, is offering his fellow goalies to cash in on a great deal for new pair of gloves. Head over to mauerathletics.com and save 20% on your order when using the promo code BDSL at checkout when purchasing any pair of the Mauer line of keeper Gloves. Saving money on a top pair of gloves and going with a local based brand. The classic win win win situation.